VERY EXCITING and MAGICAL news just released from GeekyCon! To celebrate the official release of Harry Potter and the Cursed Child, the ultimate convention for geeks are holding the celebration of the summer! 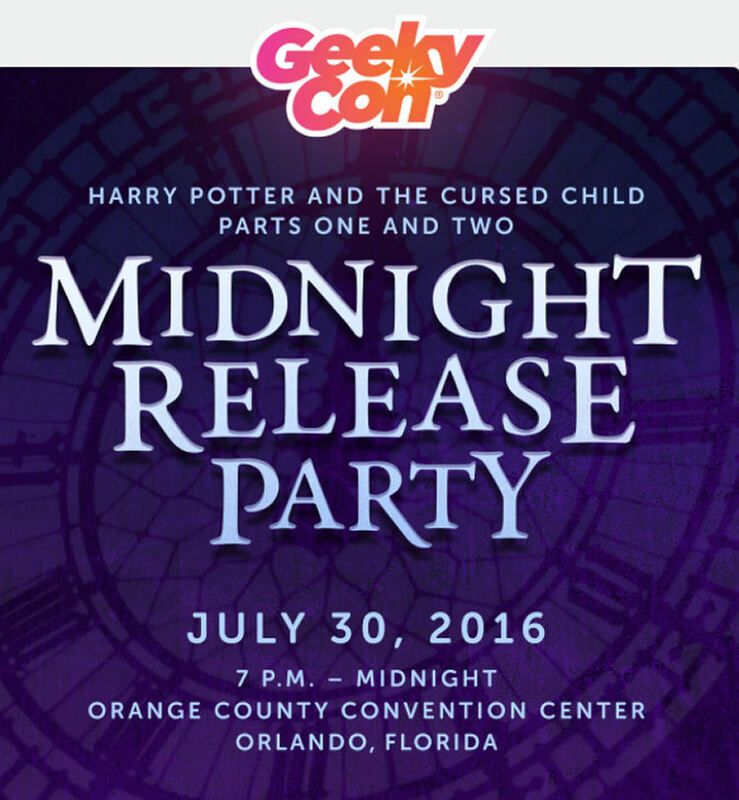 On July 30th, 2016, GeekyCon will be holding a Midnight Release Party for Harry Potter fans of all ages. Beginning at 7pm in Orlando, Florida at the Orange County Convention Center, guests and convention attendees will enjoy an amazing night of special events. 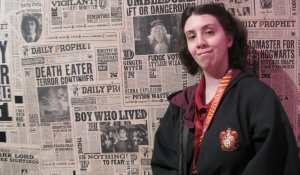 GeekyCon is partnering with the veteran Potter party people at The Leaky Cauldron to pull out all the stops and bring a new generation the magic of the classic midnight book release events! If you long for the Potter parties of old, or if you never had the chance to experience them yourself, don’t miss this! Party-only admission is $20 for guests without a GeekyCon ticket and can be purchased at the door or online. GET YOUR TICKET! Eagerly anticipating the Eighth Harry Potter story? Purchase your book at midnight with thousands of fellow Harry Potter fans. Come dressed as your favorite character and take part in our costume contest. 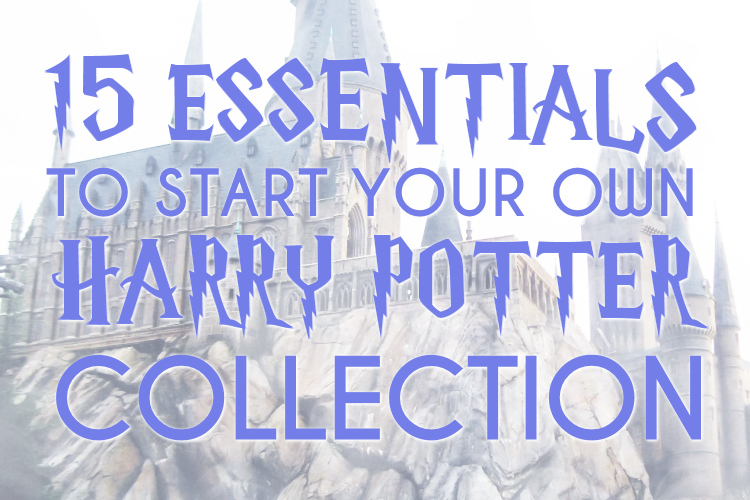 Step up to the stool and be sorted into your Hogwarts house! Test your skills at a game of Quidditch or life-size Wizard Chess! Be Transfigured into an array of magical creatures at our face painting booth. Enjoy special performances by classic Wizard Rock bands including Harry and the Potters, Draco and the Malfoys, The Whomping Willows, and more! Dive into the Pensive as we look back on the magical memories from past midnight release parties. 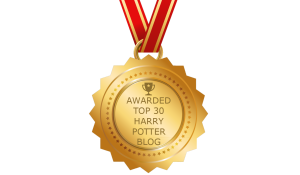 Submit your predictions for Harry Potter and Cursed Child Parts One and Two by dropping them into the Goblet of Fire! Potter Talk will be at the release party to celebrate this amazing event. Join us at GeekyCon in counting down to midnight and be among the first to experience the next chapter of Harry Potter and his family's journey! 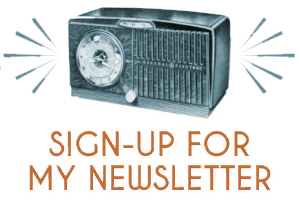 Get more information from GeekyCon at this link! I ordered it from Amazon and they delivered it in just 2 days!